Taking photos of your children is a task all its own, but trying to get true smiles can be an entirely different ordeal. Often times your own children don’t want to smile naturally for you, but love the camera for others. Frustrating right? You can do a few things that might help your frustration without just giving up. 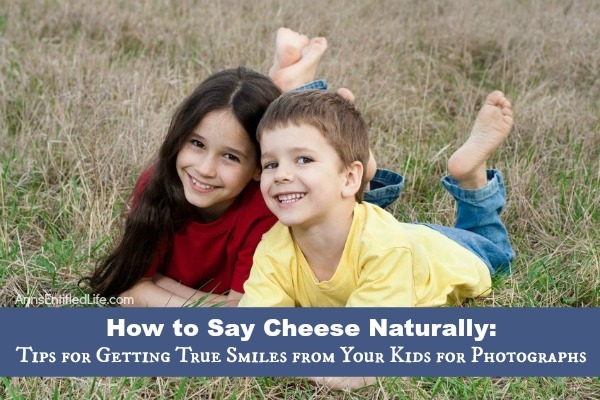 Follow these tips and tricks for the best smiles from your little ones next time you take their picture. • Don’t force it. If your child doesn’t want to smile, stop telling them to say cheese and stop jumping around like a monkey, it’s not going to happen. You must stay calm and relaxed when your children (or grandchildren) won’t smile. Try playing their favorite song or show to elicit a natural smile. YouTube is a fantastic tool for getting children to smile. If your child begins to throw a hissy fit, it might be best to try another time. Sometimes a short break is all that is necessary, sometimes, a longer wait does the trick. If you have been trying to get photos for 20 minutes and your children aren’t cooperating do something something else for a while and come back to photos. • Take lifestyle photos. Capturing photos of your children while they are playing and simply being themselves will mean much more to you later on versus a posed “sit down and smile” photograph. Capture true emotions. Capture the unguarded smiles. • Work around nap-time. (Yours or theirs!) If your child takes naps, don’t try to get photos of them right before or after nap-time if they aren’t very happy when they wake up. Try taking photos when they are the happiest during the day, you’ll be more likely to get smiles. If they are happiest in the morning, plan all of your photo adventures around that time frame. If your children are in their best mood while they are eating, as so many children are, those photos are some of the most adorable ones you’ll ever get! • Take photos that revolve around something that they like. If your child like trains, take him/her to a train museum and for a few genuine smiles. If they like the beach, spend a day there and snap photos along the way. If your child enjoys a specific activity or location, s/he will be genuinely happy before you even attempt to take a photo. You will have a much better chance to catch a nature smile instead of fighting for one in a enjoyable (to them) environment. • Show them their photo! Another trick is to take a photo of your child, and show your child that photograph on your phone the photo of themselves. This can cause excitement and the desire to take more photographs which will elicit natural smiles. Don’t become discouraged if you try a few times and don’t get any smiling photos. 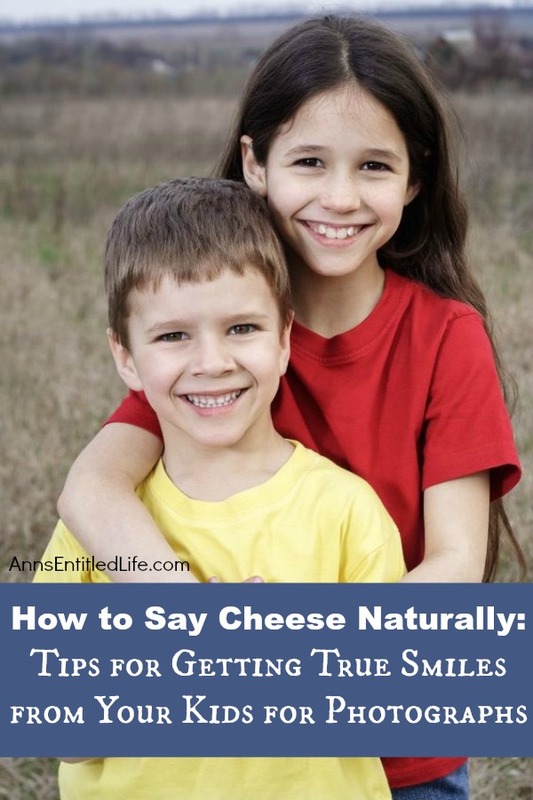 It might take a number of attempts before you figure out what works best for getting genuine, natural, true smiles from your child. Do you have any tips or tricks for getting your children (or grandchildren!) to smile naturally for the camera? For more Library Topics on Ann’s Entitled Life, click here.